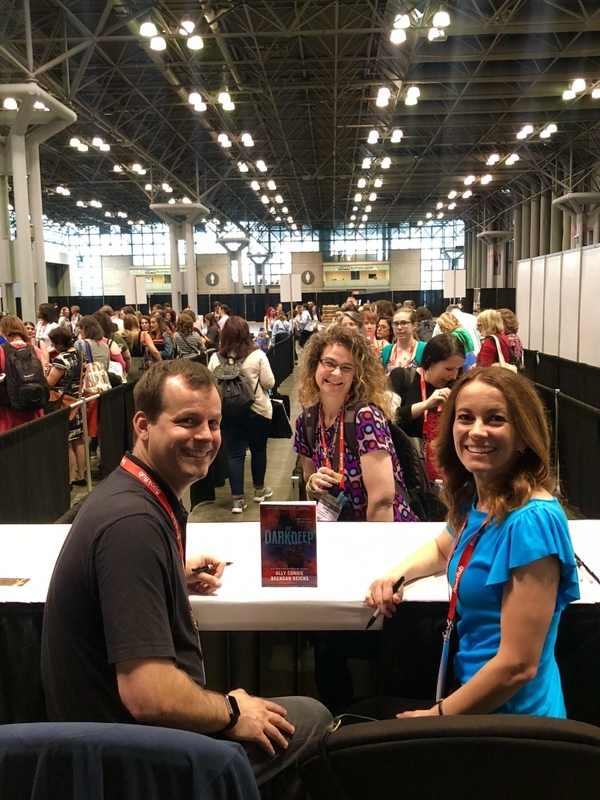 We’re celebrating the launch of a new middle grade novel, THE DARKDEEP, co-written by VCFA grads Ally Condie and Brendan Reichs! The Darkdeep is published by Bloomsbury, October 2, 2018. Ally Condie is a member of the Dead Post-It Society and graduated July 2017. Brendan Reichs is a Tropebuster and graduated January 2018. Welcome to Wild Things, Ally and Brendan. Writing tends to be a very solitary occupation. What made you decide to try to write a book together? 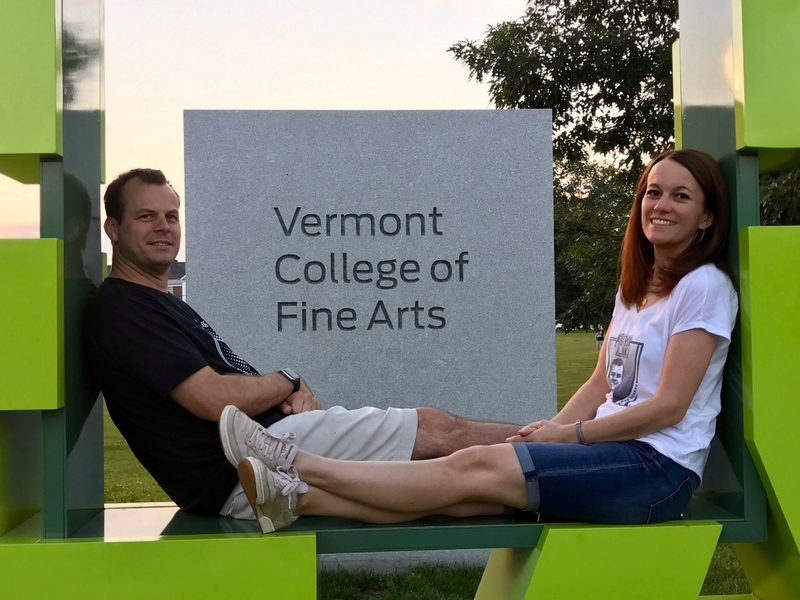 We’re really good friends—we knew each other before VCFA, but became even better friends during our time there—and we know each other well enough to understand we have different strengths and bring different skill sets to the table. Ally doesn’t outline; Brendan is a master at it. Brendan is plot-driven and known for awesome twists in his novels; Ally tends to start novels with the characters and has incredible emotional resonance in her writing. We knew working together would give us the chance to make each other laugh (and drive each other nuts), and that it would also challenge us and make us think about writing in different ways. What was the process of writing together? How did it actually work? Because we live across the country from one another (Ally in Utah, Brendan in North Carolina), we decided that the most efficient way to work together would be to plot the novel beforehand, while we were physically in the same room. So we flew to NYC to meet our wonderful editor, Cindy Loh at Bloomsbury, and spent four days in a conference room at Bloomsbury outlining the novel. Cindy sat in on part of the process, which was really fun and extremely helpful (we were very lucky that she was so generous with her time). After that, we went home, and we each took turns writing chapters and passing them back and forth. We also revised each other’s chapters and talked on the phone often. By the time we finished, we weren’t sure who had written which sentences anymore, which we liked, because the manuscript reads cohesively and doesn’t jar middle-grade readers in and out of the plot. Can you tell us about something special you keep on your desk/wall as you work. Ally: For my novel CROSSED (which is the second book in the MATCHED series), the publisher had an artist make a map for the front of the book. They then sent me the artist’s rendering, which is beautiful. I had it framed and it’s on my wall both as a piece of art and to remind me You built a world once, you can do it again. That helps when I get stuck! Brendan: I have two things on my closest wall: the first is framed print of the VCFA chapel building created by Marianne Murphy of the Dead Post-Its, because it’s just amazing and reminds me of school, and the second is a painting of the cast of Mystery Science Theater 3000, because goals. What unusual swag do you wish you could make for this book? Ally: I wish we could make all the gear from the Radish Festival. I know the characters think it’s the dorkiest thing ever and that’s how it’s intended, but the idea of having a radish outfit still makes me laugh. Brendan: I’d like to make Beast t-shirts. They’d be lit. Brendan: It definitely affected how much of the “board” I see when I put a book together. That’s been the biggest thing: realizing all of the little details that go into crafting a novel that you may have intuited but could never put a name to. Identifying and understanding those things on craft level has helped deepened my work. I’ve produced my best books ever since starting the program, without question. What are your favorite VCFA memories? Ally: One of my favorite VCFA memories was of ghost-hunting in College Hall. It was the July residency, and were crickets and fireflies outside, and we were sneaking around campus at night. I felt like a kid again. Out with my friends, warm summer night, just scared enough. Brendan: The best part of the ghost hunt was that while we didn’t find any actual sprits, but we did find a hidden game room, which was pretty great. What was special about your VCFA graduating classes? Ally: My graduating class was brilliant, hilarious, and good to the core. Everyone supported one another, even though we were of varied ages and wrote in different genres and came from so many places and experiences. I laughed until my stomach hurt with the Post-Its. They wrote things so beautiful they made me cry. They had my back in ways I could never have anticipated coming in to the program. I couldn’t love them more. Brendan: Our togetherness was pretty special. The Tropebusters are a weird, exciting, maddening, amazing mix of talents and personalities and I count myself highly lucky to be one of them. I ain’t afraid of no Trope. Thank you Ally and Brendan for sharing your process and letting us know about your writing lives. Congratulations on the launch of The Darkdeep! 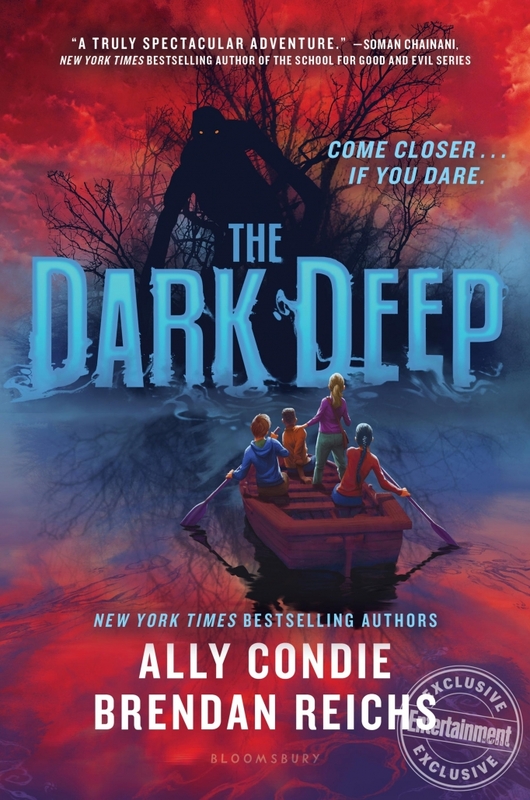 Ally Condie is the author of the #1 New York Times bestselling Matched trilogy and of the middle grade novel Summerlost, an Edgar Award finalist for Best Juvenile Mystery. 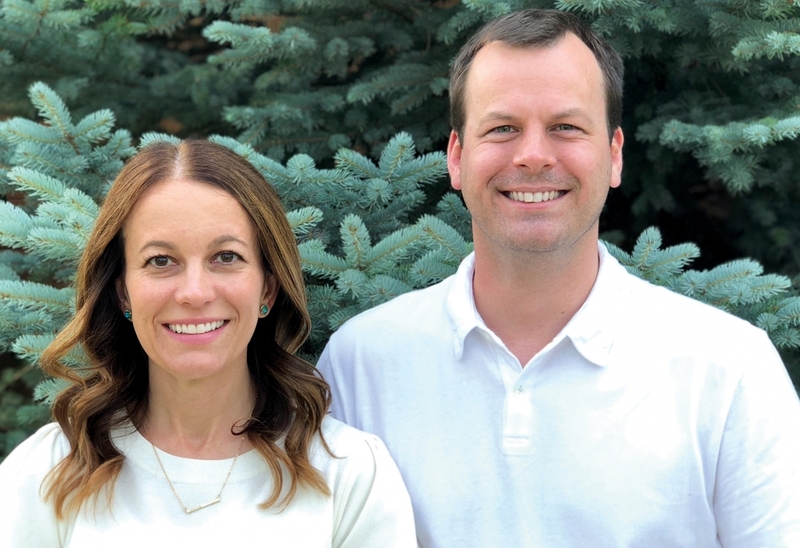 A former English teacher, Ally lives with her husband and four children outside of Salt Lake City, Utah. She has an MFA from the Vermont College of Fine Arts, and is the founder and director of the non-profit WriteOut Foundation, www.writeoutcamp.org. Brendan Reichs is the author of the instant New York Times bestseller Nemesis and its sequels, Genesis and Chrysalis, and coauthor of the six-volume Virals series. He is also a member of the Executive Board for the YALLFEST www.yallfest.org and YALLWEST literary festivals www.yallwest.com and has received an MFA in creative writing from the Vermont College of Fine Arts. He lives in Charlotte, North Carolina, with his wife, son, daughter, and a herd of animals that tear up everything.